Order your Sheaffer Intensity Ballpoint Pen today from FahrneysPens.com. Fine Pens, Refills & Luxurious Gifts – great prices & fast shipping. You’ll want to use the Sheaffer Intensity Ballpoint Pen every chance you get! From working the morning crossword to signing the dinner check at night, the Sheaffer Intensity always performs with style and ease. Its slender, streamlined profile is well-balanced and comfortable in the hand. Due to popular demand, Sheaffer now presents the Intensity pens in appealing colorful finishes set into polished chrome. 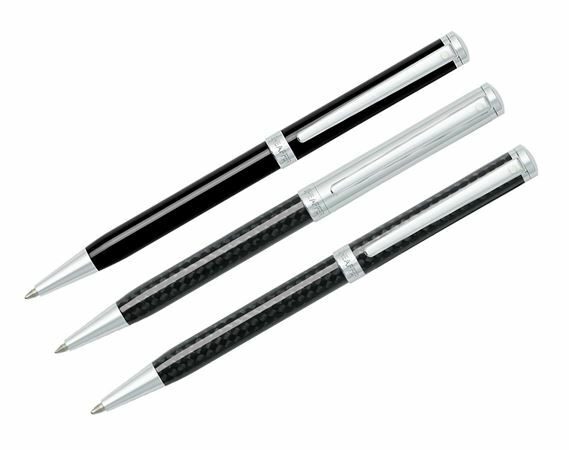 The high-performing Sheaffer Intensity is the best ballpoint pen to keep your busy day streamlined!